What are the Factors in Retirement Planning? How much capital does one need to live the way one wants to live for the rest of their life adjusted for inflation under varying ROR and longevity assumptions? Learn how the RetirementPathRoadmap software can ‘WOW’ your clients. So What is Your Number? 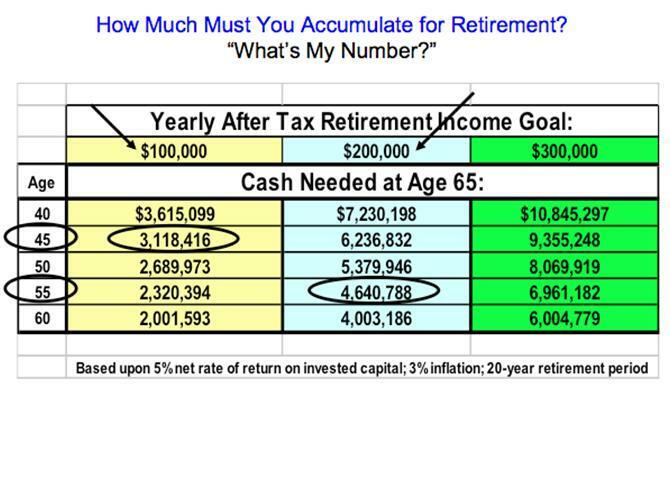 How much must you accumulate for retirement?